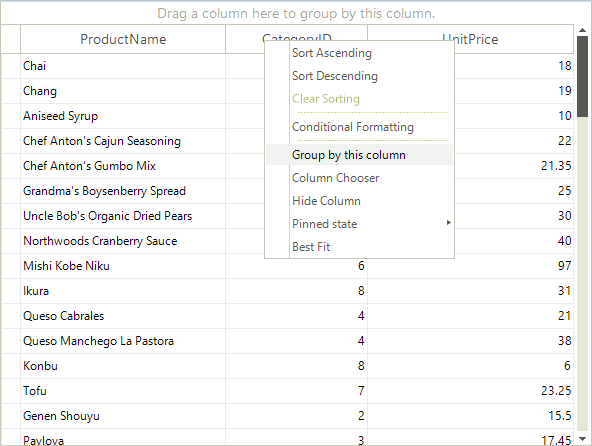 Multiple levels of grouping can be created by dragging additional column names to the grouping panel. 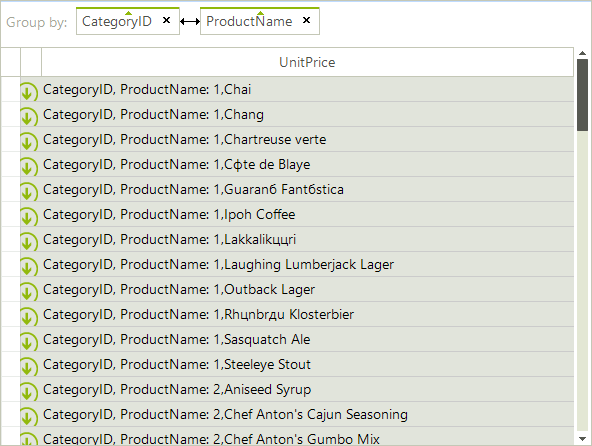 Column names can be rearranged within the panel by dragging. 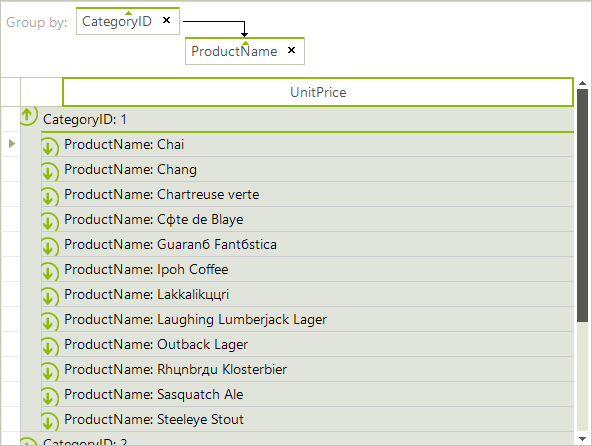 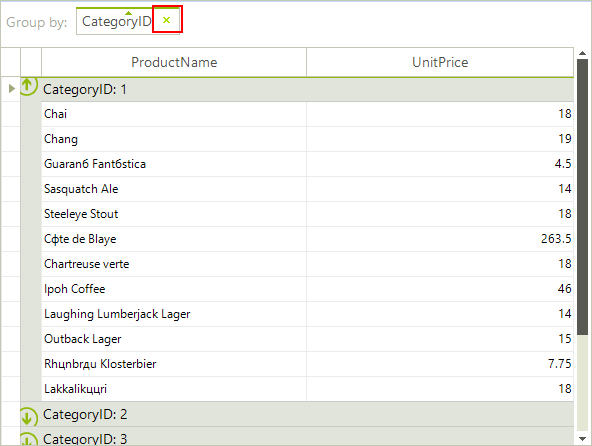 In the screenshot below the top level grouping is by CategoryID and the second by ProductName.